The reason why I used the word “Best” in the title of this article is not because I am claiming this supplement to be among the best. No it is because the company itself named it such. 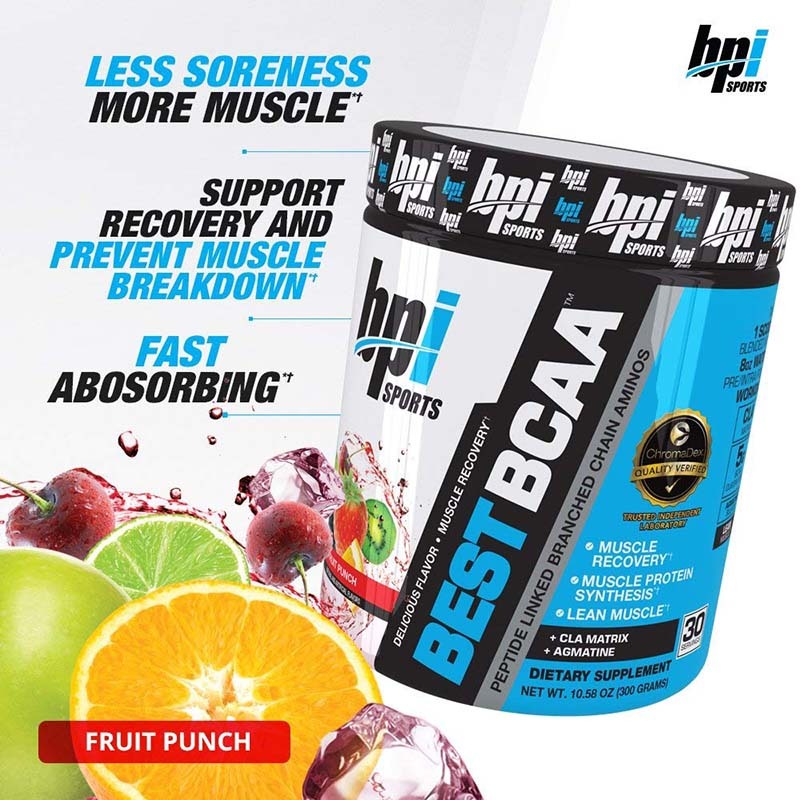 So yes, the name of the product is “Best BCAA by BPI Sports”; which is a bit cheesy if you asked me. I mean who names their product as “Best” and hopes that it will sell because they named it such. To be honest I would rather not buy a product that was named as Best if i saw one one the rack. Jokes apart, it was not even that bad actually. Read on the BPI Sports BCAA review below to know more about the product; and whether or not you should buy it. BPI Sports is a nutrition company that is best known for their protein powder and protein bars. However they have in fact quite a large variety of supplements; including ketogenic diet support and a few pre-workouts. I had never tried any of their products before but surely have heard the name. A friend of mine owns a supplement store; and he was the one who actually suggested me to try out the “Best BCAA By BPI Sports“. I was a bit skeptical at first but then decided to give a try nonetheless. Take one (1) serving (1scoop) blended into 8oz of ice cold water, whether before, during, or after workout, or as directed by a qualified healthcare practitioner. On non-training days, take on (1) serving (1 scoop) first thing in the morning, on an empty stomach, or as directed by a qualified healthcare practitioner. Using this BCAA was definitely a pleasure in terms of taste. There is no calorie information mentioned on the jar; but one scoop has 5 grams of BCAAs in a 2:1:1 ratio of leucine, isoleucine, and valine. It tastes fantastic and mixes well. The thing however is that all the time I was using it, it felt more like a pre-workout rather than a recovery supplement. In my opinion, this particular BCAA is perfect for people working to cut down fat, lean up, and transform their body. If you have been doing a lot of cardio to lose some weight then this BCAA is a great choice. Its easy to mix, easy to drink, and will get you up and running for a couple of hours. If you are trying to build up mass then too you can take this BCAA, but I do not think that it is entirely designed for major mass gainers. I will recommend this product to people who are looking for a supplement that can help them during a cutting phase; when they are on treadmill for long duration. But it’s really not specialized for someone who is looking to bulk up; or gain some serious muscle mass. Please click on the link below to read more reviews and information about this product on Amazon India. I hope the information above was of help. If you have any other questions; or need any further details; please feel free to ask in the comments section below; and I will be glad to answer.